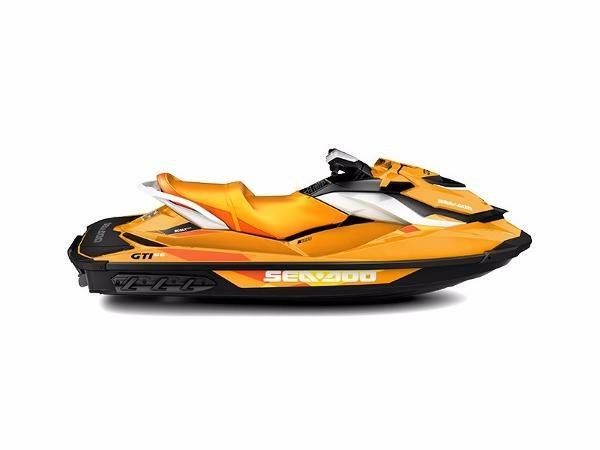 2017 Sea-Doo GTI SE Rotax 900 HO ACE 2017 Sea-Doo GTI SE Rotax 900 HO ACE NO HAGGLE PRICING! No extra Freight Charges! Prices and Availability subject to change at any time. 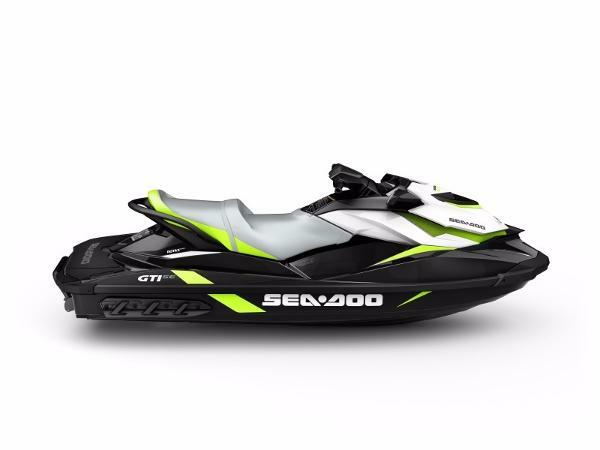 2017 Sea-Doo GTI SE Rotax 900 HO ACE COMING SOON2017 Sea-Doo GTI™ SE Rotax 900 HO ACEPre-Season Promotion (3 Yr. Warranty) MORE CONVENIENCE & COMFORT FOR DAYS OF FAMILY FUN Enjoy the Intelligent Brake and Reverse (iBR) and many convenience features such as a Touring Seat, Reboarding Ladder and Variable Trim System (VTS). 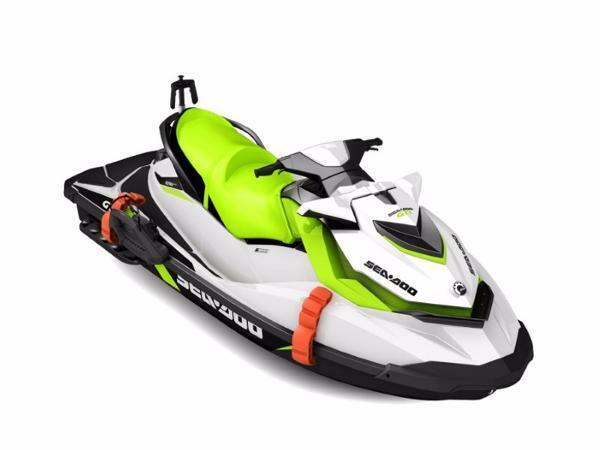 Plus, choose between 3 engine options, including the fuel-efficient Rotax 900 HO ACE.Features may include:PICK YOUR POWER3 ENGINE OPTIONS Choose from one of three proven Rotax engines. 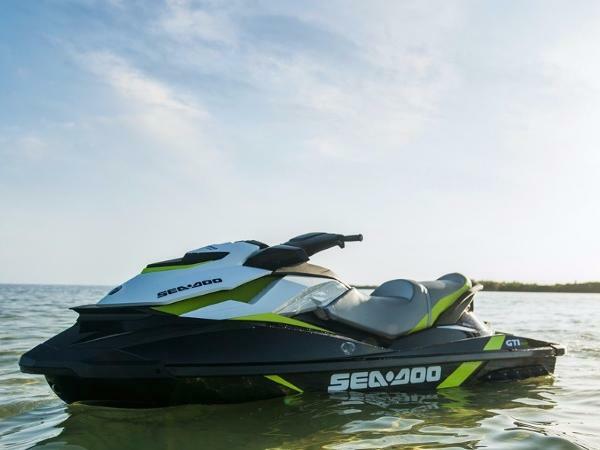 From the fuel-efficient Rotax 900 HO ACE to the Rotax 1503 NA.ADD EVEN MORE VERSATILITYCONVENIENCE FEATURES This model comes standard with 30.8 US gal. 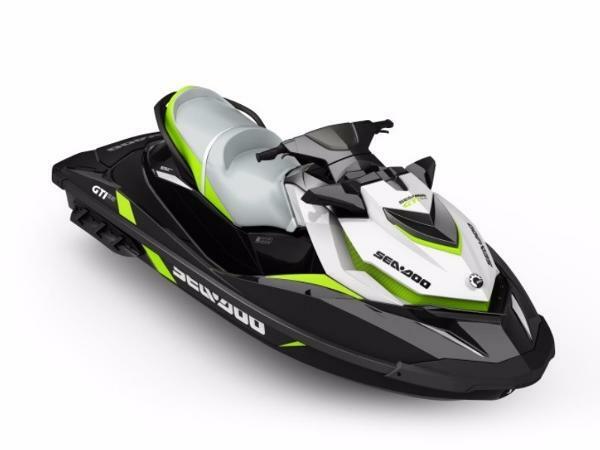 (116.6 l) of storage space, a touring seat, a reboarding ladder and additional gauge functions (fuel consumption, clock).STOP SOONER AND DOCK WITH EASEINTELLIGENT BRAKE AND REVERSE (iBR) Exclusive to Sea-Doo, the second generation iBR system lets you stop close to 160 feet sooner (48.75 m)*. 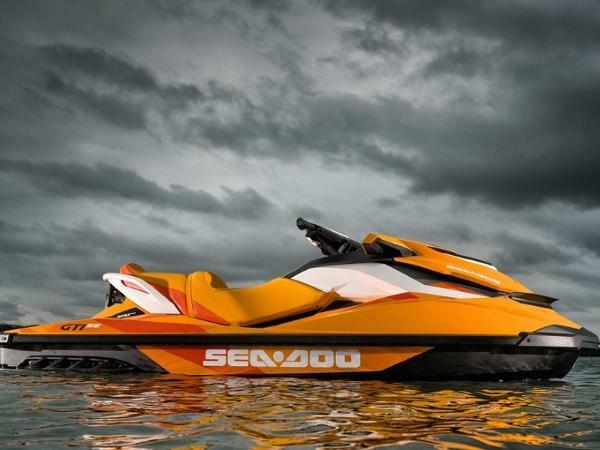 And offers more control and maneuverability.TUNE YOUR CRAFT’S ATTITUDEVARIABLE TRIM SYSTEM (VTS) Adjust the nose angle of the watercraft higher (for better stability at high speeds) or lower (for towing and quick starts) based on rider preference, water conditions, and number of passengers.3 MODES THAT SUIT YOUR RIDING STYLEINTELLIGENT THROTTLE CONTROL (iTC) Choose how you want your power delivered thanks to different riding modes such as Touring, Sport and ECO - available through your watercraft digital information center.A SEA-DOO EXCLUSIVECLOSED-LOOP COOLING SYSTEM This technology prevents corrosive saltwater and damaging debris from entering the engine, for increased reliability and peace of mind.SET THE PACE AND THE PROTECTIONANTI-THEFT SECURITY SYSTEM AND iCONTROL LEARNING KEY Design features a Digitally Encoded Security System unique to your watercraft that serves as an effective theft deterrent. Learning Key also limits speed for beginners.